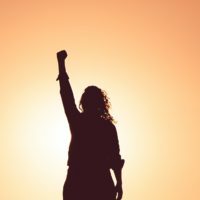 AmplifyChange is pleased to invite women led and LGBTIQ led civil society organisations for its 2019 Opportunity Grant to nurture and encourage innovative ideas and approaches on SRHR advocacy in new contexts. The purpose of this grant is to implement projects doing advocacy within a sexual and reproductive health rights framework. They aim to be flexible in their funding approach so that smaller and new organisations can access their funding, but they do expect a project to have promising potential to achieve meaningful change for women and girls and those who identify as LGBTIQ. They work as a challenge fund, and applications are considered on a competitive basis. Opportunity grants can be up to a maximum of 40,000 Euros. Women led and LGBTIQ led civil society organisations (CSOs) are eligible to apply which are located in one of the eligible countries listed below. *They have received many applications that reference ‘sensitisation’, ‘awareness raising’ and ‘meetings’ –if these terms are used in an application, they must be backed up with context and plans. Including justifying why applicant think these approaches are needed and likely to be effective. Demonstrate a clear understanding of the problem applicants seek to address in the local context. Include clear and realistic objectives. Articulate a well thought-out and feasible strategy to achieve change. Identify and work with key influencers and the authorities that have the power to bring about positive change. Respect confidentiality and place the safety and security of communities at the centre of its initiative. Identify any significant gaps in the organisation’s technical and / or institutional capacity and outline how these gaps will be addressed.